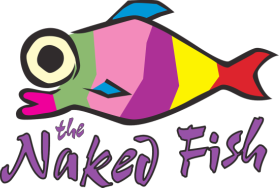 The Naked Fish - New - The Naked Fish: The ultimate raw bar, sushi and lounge experience at the best restaurant in San Luis Obispo and South Lake Tahoe. Don’t be fooled by the many others that have copied our name and ideas. We are not affiliated with any other Naked Fish besides South Lake Tahoe and Paso Robles, CA. Our mission is to bring the best quality fish available to our customers. We get our fish from a source that does not deliver to Tahoe which requires us to drive 200 miles to pick it up. Our standards will not settle for third party air shipment and no other restaurant in Tahoe brings you fish of this quality. the ultimate raw bar experience in Paso Robles and South Lake Tahoe.